On July 24, 1974 a rookie Congressman from Mississippi testified before the House Judiciary Committee in the Nixon Impeachment Hearings. The stage was immense and the Congressman hadn’t yet earned too many stripes. But even under those circumstances he wasn’t afraid to begin his testimony by expressing some disgust with the hearings. While calling the proceedings fair, he still pointed out, with a tone of incredulity, that the Committee spent an hour discussing, not whether the hearings should be televised, but whether there should be lights for the television cameras. The 32-year old Congressman was Trent Lott. He went on to spend seven more terms in the House followed by three in the United States Senate (including five years as Majority Leader). Lott is in his office at Squire Patton Boggs in D.C. He’s speaking to me from one of the most powerful law firms in America and his words are very serious. But Lott’s folksy manner, sprinkled with some Southern phrases, makes it feel like the conversation is taking place on a porch in Pascagoula with the two of us are sipping Country Time. In addition to what lies ahead for the country, Lott and I discussed government gridlock and its antidote -- the art of persuasion. As the only person to serve as Republican Whip in both the House and Senate, Lott’s credentials on the later subject are historic. I was also curious about the Trent Lott International Airport in Moss Point, Mississippi. It certainly isn’t every day that you speak to someone who has an airport named after them. Do they make him take his shoes off? And international? Really? I just can’t imagine too many daily flights from Moss Point to Charles de Gaulle. Lott’s career at the bar seemed as certain as Nick Saban having a good hair day. But then Lott’s phone rang one Saturday while he was in his office writing a brief. And after less than one year, the former Ole Miss head cheerleader never practiced law again. The caller who tracked Lott down that winter day in 1968 was long-time Mississippi Democratic Congressman William Colmer. He wanted to see Lott that afternoon. When the two met later that day at the Congressman’s house, he asked Lott to come to Washington to serve as his administrative assistant. Despite hesitation about leaving his Mississippi roots, and the junior partnership that had now been offered by the firm to keep him, Lott and his family headed east. The plan was to stay for a couple of years and then come home. But when that time came, Colmer retired. And instead of a seven Mississippi-rush back to his law firm, Lott ran for Colmer’s seat – as a Republican -- in a District that was only 8% so registered. Lott won and joined the House of Representatives in 1973. Lott remained in the House until 1989 when he was elected to the Senate, where he served until retiring at the end of 2007. Lott and former Louisiana Senator John Breaux founded the Breaux-Lott Leadership Group, a lobbying firm that was acquired by Patton Boggs in 2010. At the heart of practicing law is the art of persuasion. That involves many things. But the rubber and the road get acquainted when it’s time to step into court. And in that forum, the tools available to a lawyer are few and regimented -- write a brief, argue to the court, attempt to convince a jury. But when it comes to persuasion on Capitol Hill, few and regimented are not words that apply to the process. 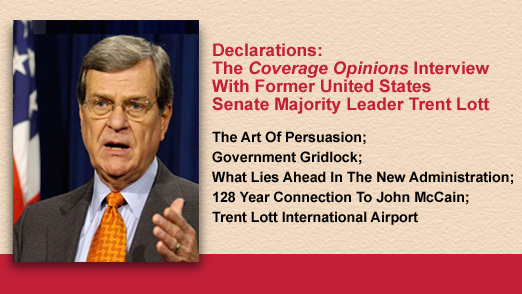 While Trent Lott didn’t practice much law, he did practice the art of persuasion -- and in ways that lawyers can only dream. And persuasion is the antidote to gridlock. Whips have been around since the late-1800’s. But it took Trent Lott to found the House’s first modern whip organization. And since he was in the Republican minority, Lott’s job wasn’t limited to just keeping his own party in line. During the Reagan years he generally had to pull between 30 and 40 Democrats to his side to pass legislation. This included accounting for the few liberal Republicans who would, Lott says, “flake off” and vote with Democrats. Lott says that his whip organization produced the desired results 95 percent of the time. In the appropriately named Herding Cats, Lott describes the whip machine he created. And the pride he takes in having done so is hard to miss in his writing. Lott created a computer database and gathered “every scrap of information available” about every member of the House – such as career voting records, propensity to vote with their party and leaders and ratings by various organizations. Lott also studied how members did in the voting back home, enabling him to use re-election as pressure points when necessary. But it wasn’t just data that got the job done. Lott also created a “human army” -- “a young and gung-ho team of seventeen deputy whips and carefully trained them to wring votes out of the frostiest of Democrats.” Lott organized a 30 day whip school for new team members. When votes were needed on military spending, he had West Point graduate-donors call the House members who they had bankrolled. When there was a shaky voter, he enlisted the member’s friend to sit next to him on the floor – a “warm, friendly hand on the shoulder,” Lott called it. “After all, everyone likes backup.” If more help was needed, he organized a “vote-getter squad” – one by one a targeted member was greeted by a series of people, such as a ranking member, a colleague back home, a friend and a fellow committee member. Lott says that “[o]ften the members themselves weren’t aware what they were doing, that they were part of a larger plan, but I had it carefully orchestrated.” Nor were they probably aware that Lott was reading their body language and watching the movement of their eyes -- other things he told me that he employed as Whip. Lott says in his memoir that mixing with other House members was in his blood. “[I]t tickled me to try to convince them to vote my way. Whip and I seemed a natural match.” When Lott told me that he enjoyed being Whip more than Majority Leader, I certainly was not surprised. It is difficult to summarize the Senators’ solutions to the gridlock problem as set out in the nearly 300 pages that followed that fireside chat. If it were that simple, the problem wouldn’t exist in the first place. Crisis Point is not a Power Point presentation nor a textbook. There are no bullet points. And that’s why the book works so well. It is a collection of countless political and legislative stories amassed by these two long-serving Congressional leaders. Their points are made through examples of how gridlock was overcome and not by lecture. Crisis Point is as much a behind-the-scenes look at the political process as it is a book about gridlock. And it is eminently readable. A degree in political science is far from a prerequisite. The Senators say that the biggest problem facing the Senate today is very simple – a lack of fellowship and chemistry between its members. And to this simple problem they offer simple solutions. First, they say, Congress is not in session enough and legislators don’t spend nearly enough time in Washington. The work week is Tuesday to Thursday. There is just not enough time to work on complex legislation and build relationships. In addition, they observe, “in the age of the Internet, it’s much easier to attack someone you don’t know or don’t have to face.” Lott and Daschle also lament the phasing out of the private Senate dining room. With two tables, providing family-style dining, it was an excellent way to create informal, open and honest conversation. Lott and Daschle had phones on their desks that went directly to each other’s office, enabling the two to work together, away from the media spectacle that the 50 yard walk down the hall would have been. Lott talks about making deals. 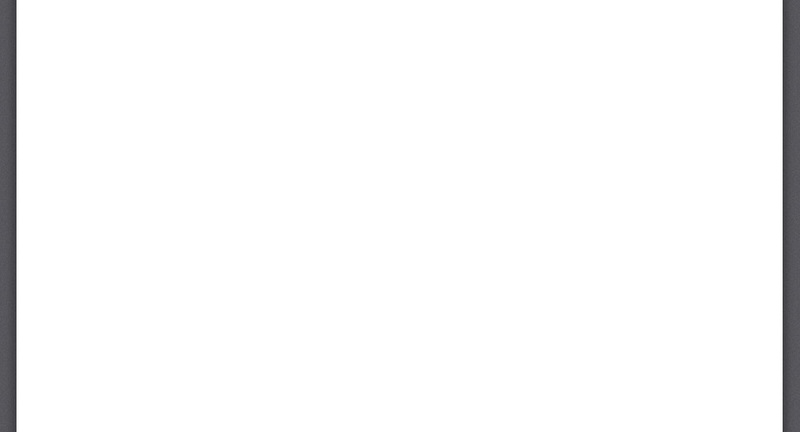 That’s a word that real estate developers use in just about every other sentence. So is Lott hopeful that Donald Trump has the background to succeed? He sees Trump as well-poised: “A lot of the things they need to work on are right in his wheelhouse. We need infrastructure in America. We’re gonna be building bridges and roads and airports and improving ports and harbors and water and sewer. Hey, how much has he been involved in doing that in his life. That is right where he belongs.” Lott also pointed to Trump’s background as having given him an appreciation for the need for tax reform. I asked Lott to expand on the opportunities that he sees for lobbyists in the new administration. He sees “tons” he told me, pointing to things that he says the current administration has done to slow down growth and productivity and regulations that have put people out of business or made it more difficult to stay in business. He specifically points to the impact of the Affordable Care Act on small businesses, particularly restaurants, keeping people working fewer than 30 hours a week to avoid the employer mandate. There is no way I’m hanging up without asking the former Senator about the airport that bares his name. The Trent Lott International Airport, located in Moss Springs, Mississippi, six miles from the central business district in Pascagoula and 30 miles west of Mobile, Alabama, is described on the Jackson County, Mississippi website as one of the county’s most important gateways and ideal for charter companies, flight training and accommodating flight testing facilities for manned and unmanned airplanes and helicopters. Lott told me that the airport came about through an effort to shutter an existing airport for safety reasons – being too close to town and a Chevron oil refinery. Lott didn’t see the move as necessary, but recognized that it was a local issue and decision to be made by the town and county. If they felt it was in their best interests to move the airport, then Lott, as their representative, had the job of securing the necessary federal funds to do so. As a way to say thanks, the local officials named the airport for him. Lott joked that the only thing he ever opposed in his hometown was the thing they named for him. As for the airport being called international, Lott told me it met the criteria for that designation simply because there are certain federal agencies in the area and it offers customs services. Incidentally, the battles between these three Founding Fathers is at the heart of the story told in Hamilton -- An American Musical. And the Senators wrote this before the public was delirious about the Broadway show. Again, Lott’s crystal ball is in HD. Of course, the specific dispute in Hamilton is over the post-war debt plan. Hamilton won. But how did he get Jefferson and Madison to his side? The U.S. Capitol was placed conveniently near their Virginia homes. And, as the song says, nobody else was in the room where it happened. Not much has changed in Washington since the beginning.